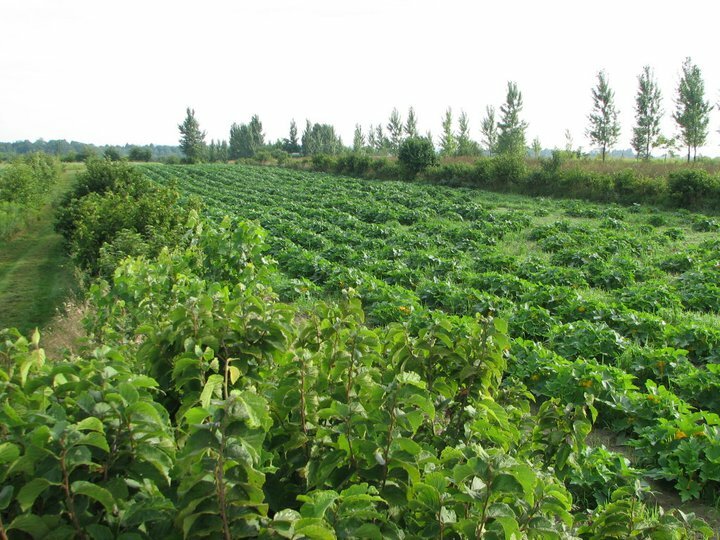 Agroforestry is an integrated approach of mixing trees, animals, and other crops in perennial systems that produce food, fuel, fodder, on so on. These systems are incredibly efficient in taking sunlight and turning it into useable human products. 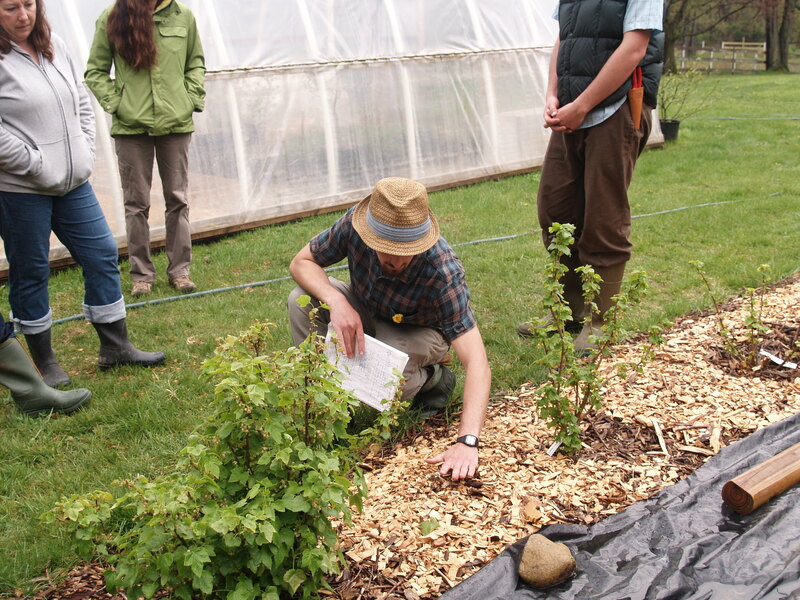 They also serve to sequester carbon, filter water, and provide other ecosystem services. Agroforestry combines agricultural and forestry practices to create ecologically sound and economically viable production protocols. 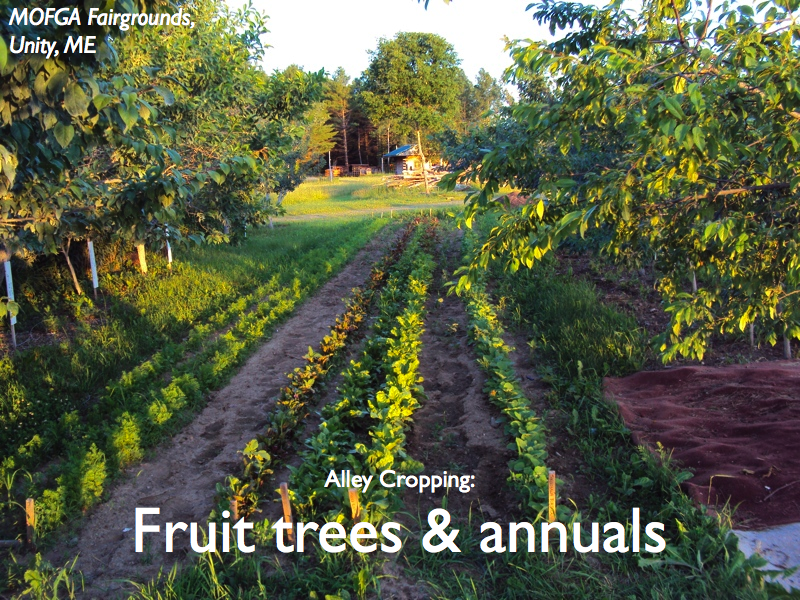 As mentioned above, alley cropping present many benefits and incentives to farmers. One of these being the productive use of space while woody crops are maturing. Often times fruit and nut crops seem un-appealing to establish because they take years to bear. 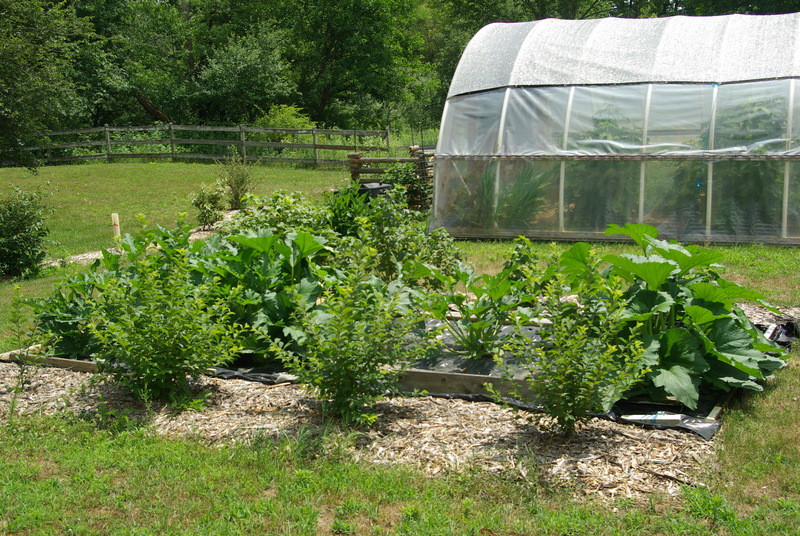 Growing vegetables, grains, or cut-flowers in between your young tree crops optimizes the productive value of that space in the early years. Sounds like common sense huh? Not so common. 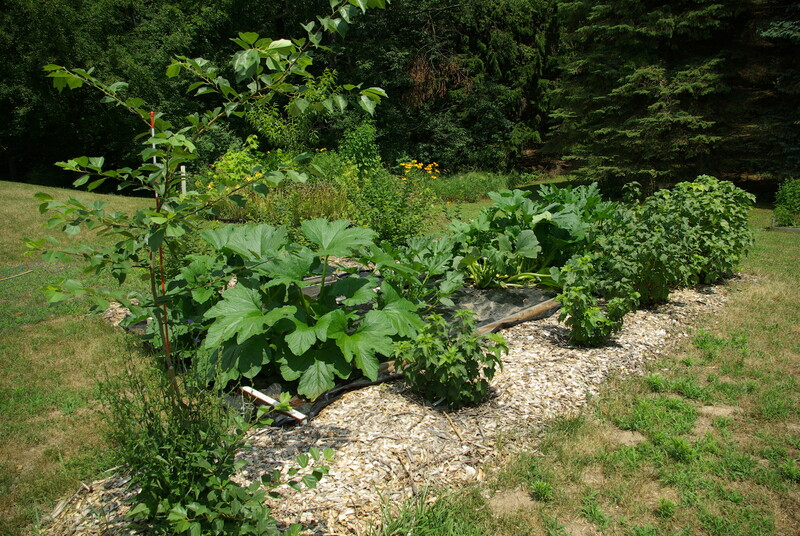 Annual vegetables grown between rows of fruit trees. What I’ve been fascinated with over the past year, is not only farm-scale agroforestry systems including alley cropping, but also the home-scale application of these models. 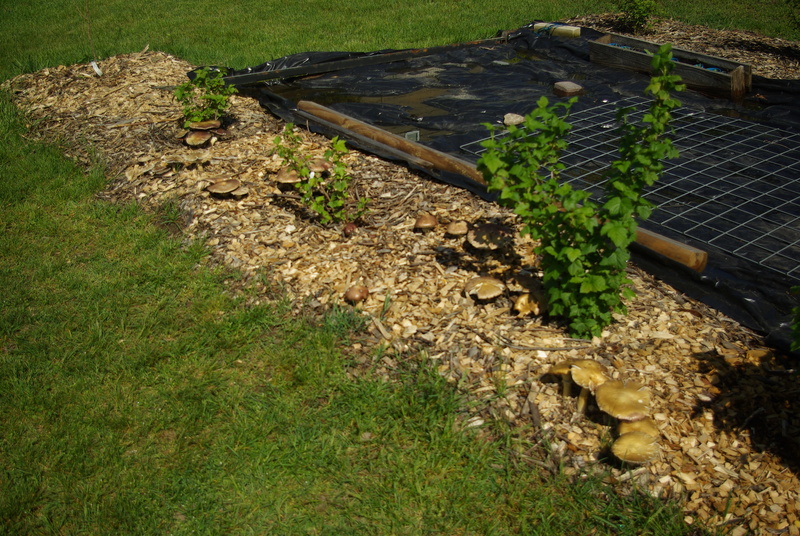 So, this year, inspired by alley crop systems, I came up with a garden scale alley crop integrating shrub fruits, cucurbits, and mushrooms all into a relatively small area. What started out as a single row of four black currant(Ribes nigrum) bushes soon turned into something much more interesting. 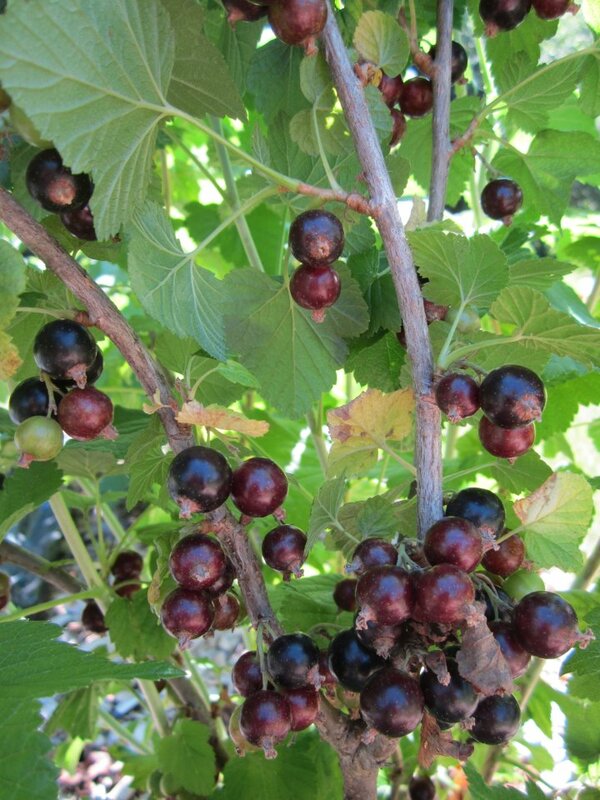 What followed was a planting of nanking cherries(Prunus tomentosa) running parallel to the currants about ten feet away. Keep in mind this was all a very intuitive process. Once the two rows of shrubs stood parallel— I figured the interior must be filled with more plantings. I am always looking for new places and ways to plant things. 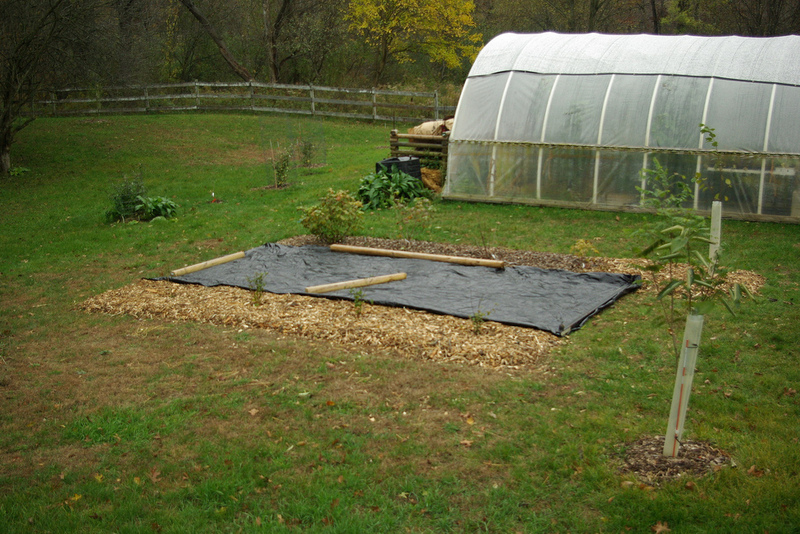 I have sheet mulching for a long time but another no-dig garden preparation strategy I’d been eager to try was solarization. 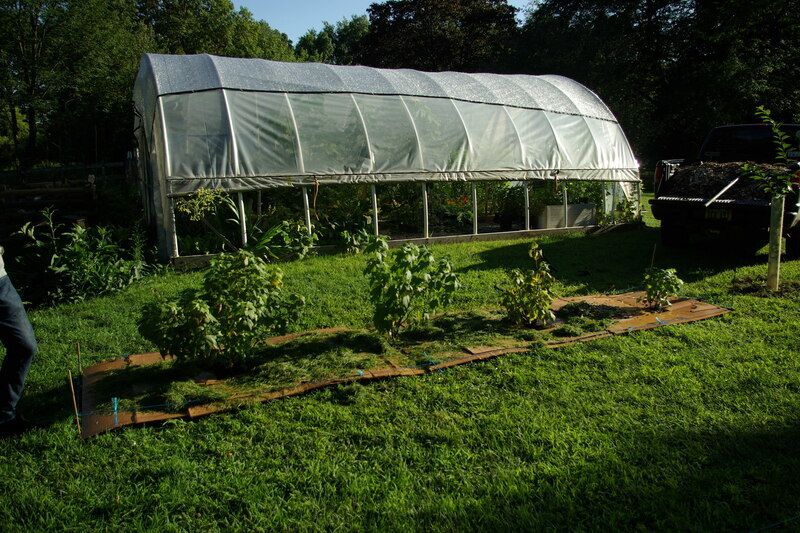 This is where the soil is covered with plastic for six months to a year and high-heat light exclusion kills all vegetation and you’re left with an open planting bed. Normally I would avoid the use of plastic if possible, but in this situation the plastic was on its way to the landfill so it was a reuse. 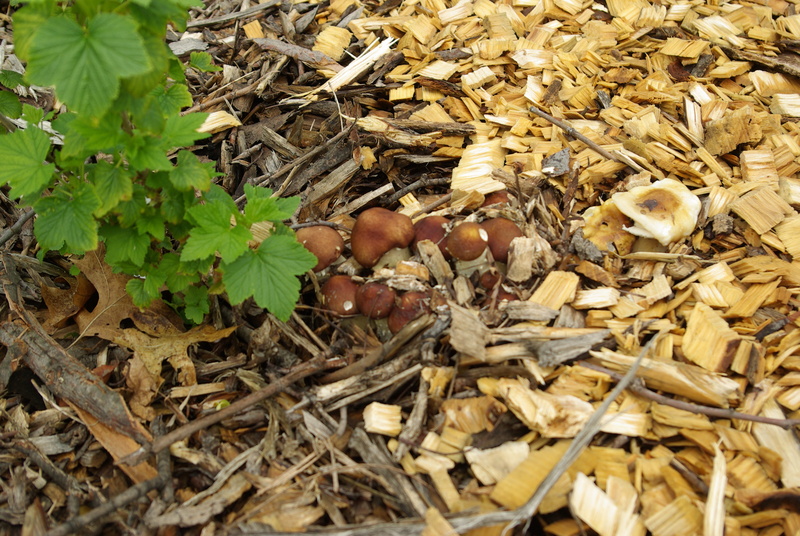 When mulching the black currants I innoculated the woodchips with Stropharia rugosa-annulata peg spawn. 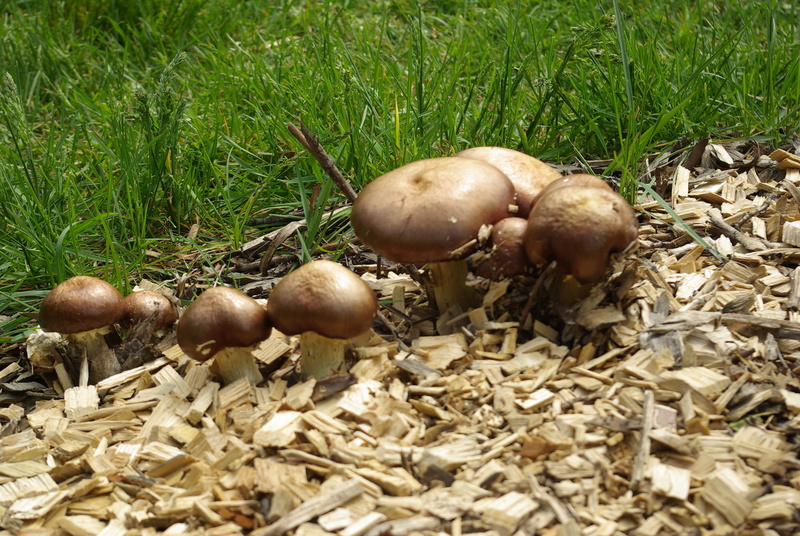 I had been trying to grow these mushrooms for a few years with no luck…so I over-inoculated this time. Dense clusters continued to spring forth from all around the base of the black currant bushes…turning wood into food! 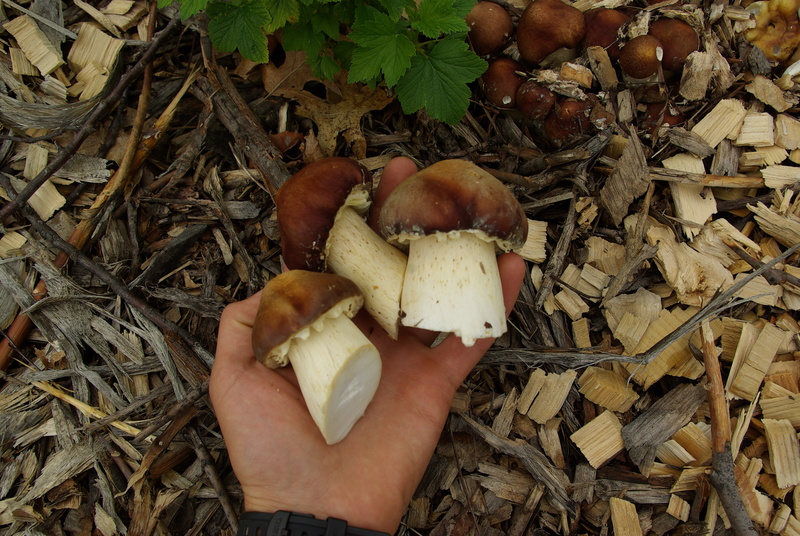 The mushrooms were the first yield of the season from this polyculture…next came the black currants. 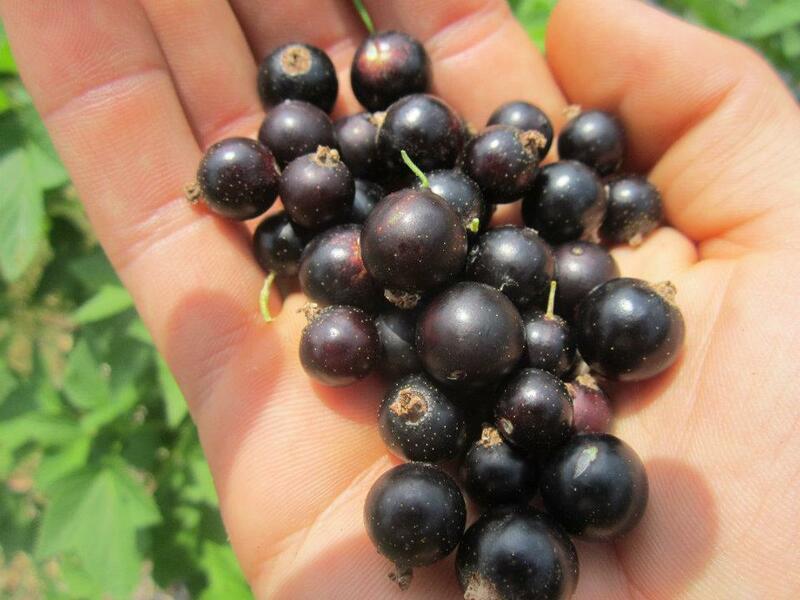 Handful of mixed black currant cultivars. 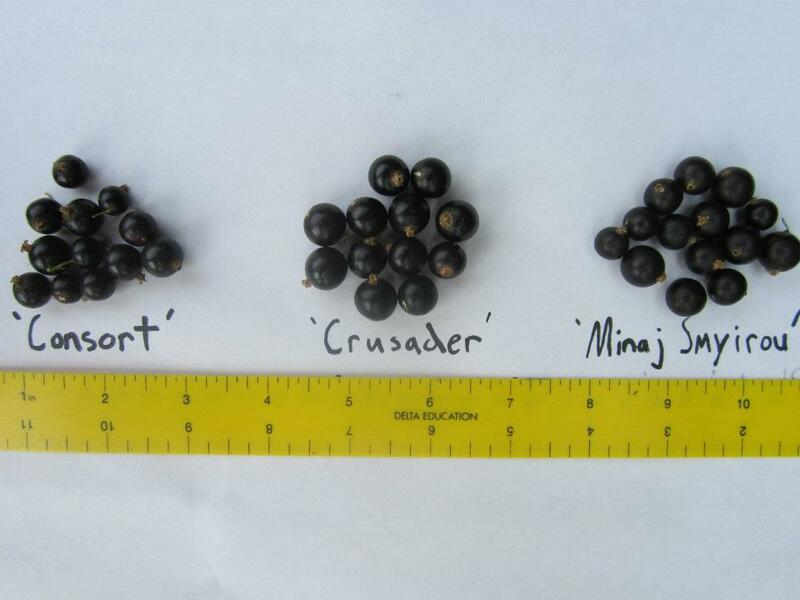 ‘Crusader’ currants at varying stages of ripeness. 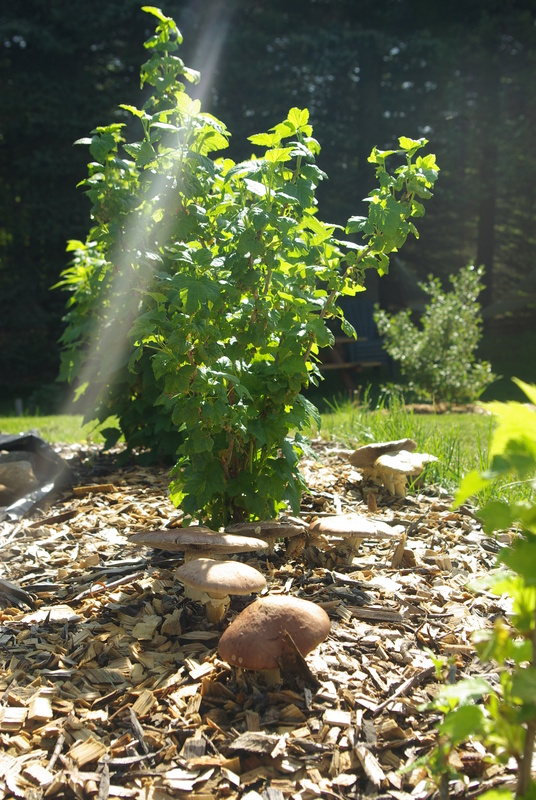 Nice photo of garden giants fruiting at the base of a young black currant bush…goumi in background summer 2012. 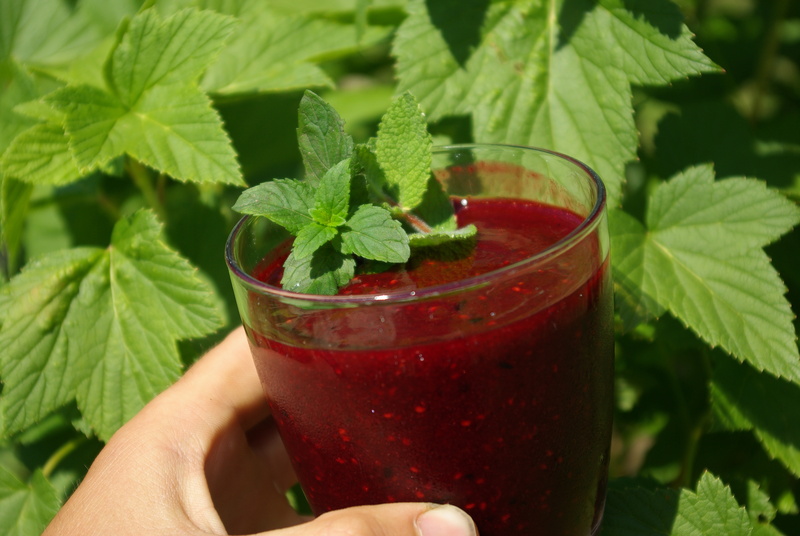 Amongst the several black currant varieties I was eating fresh berries for about a 4 week period. 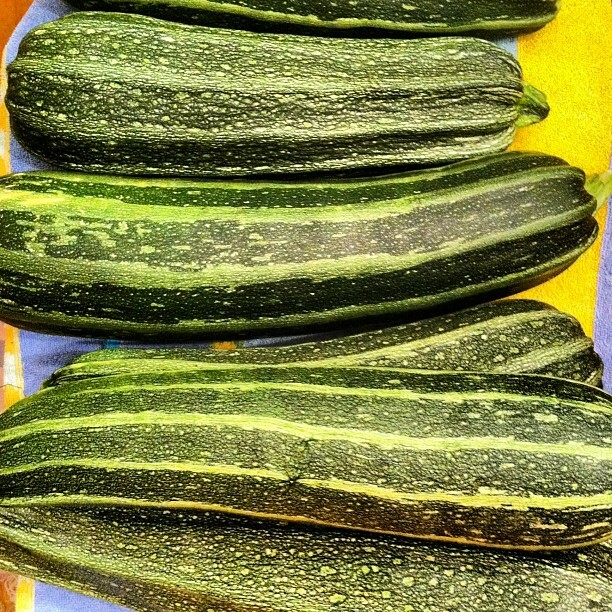 After the currants came the ‘alley’ part of the alley crop— that is the zucchini. I knew this was a good place for zucs and after looking at that black plastic laying neatly between the rows of shrubs all winter, I figured I’d try what some organic farmers do and plant the zucs directly into the plastic by cutting a hole for the seedlings to go in. 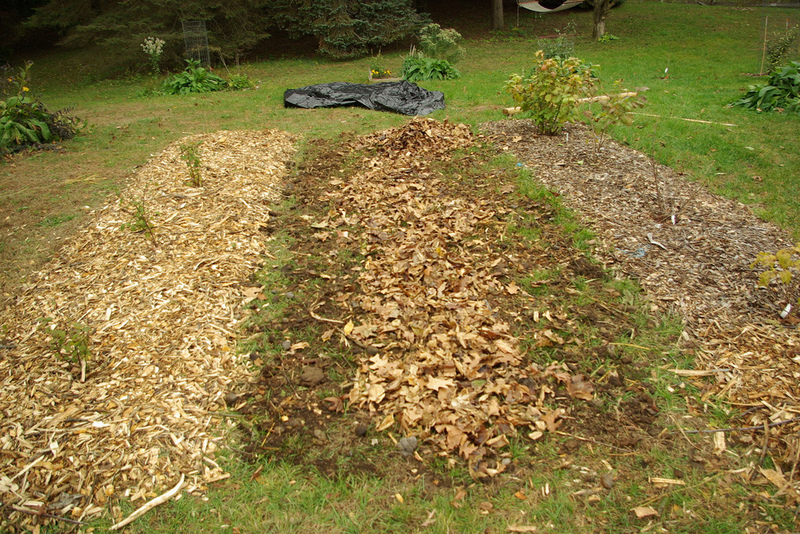 Again, I wouldn’t opt for plastic mulch but I had the material and it was a multipurpose reuse. 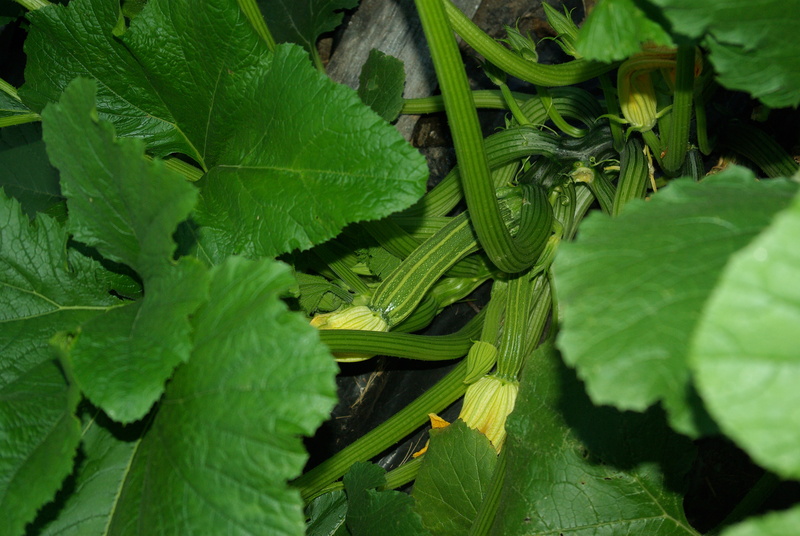 I put in four plants, two different varieties— ‘cocozelle’ and ‘costata romanesco’. 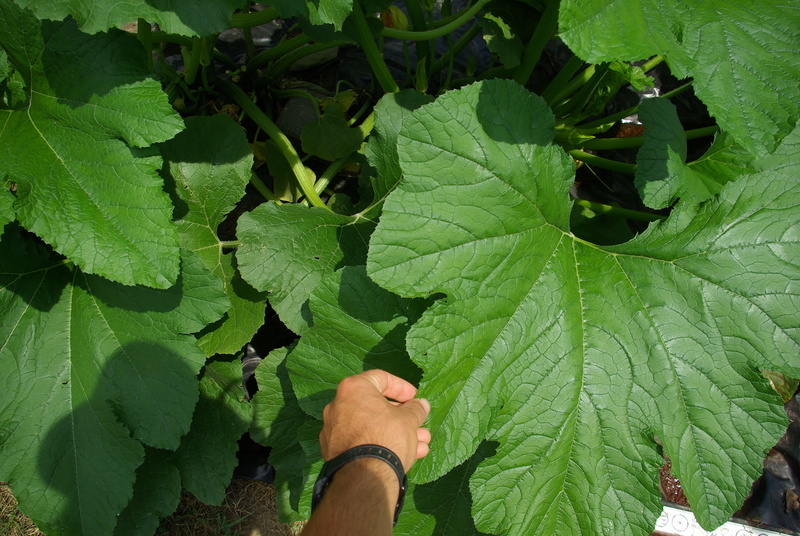 Giant zucchini leaves a few weeks later. 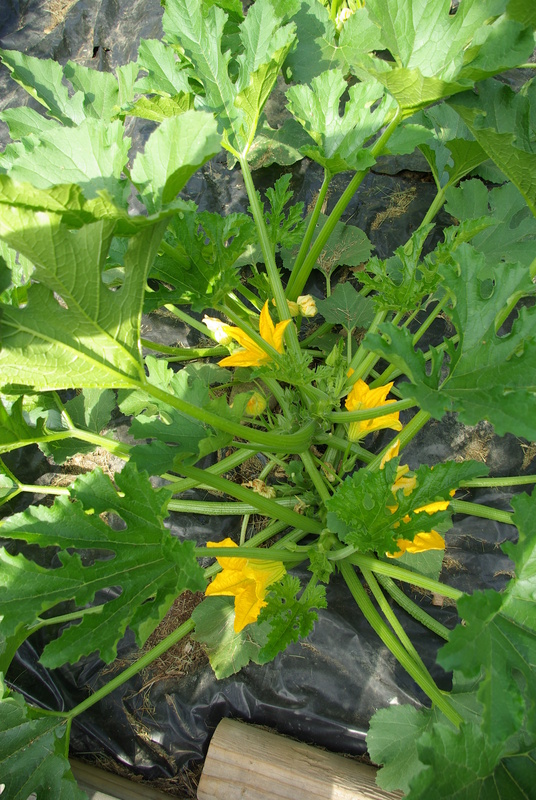 Alley crop thriving in mid July 2012. Another angle looking southeast…note the small nanking cherry on the far left is a white fruited variety from www.eat-it.com. 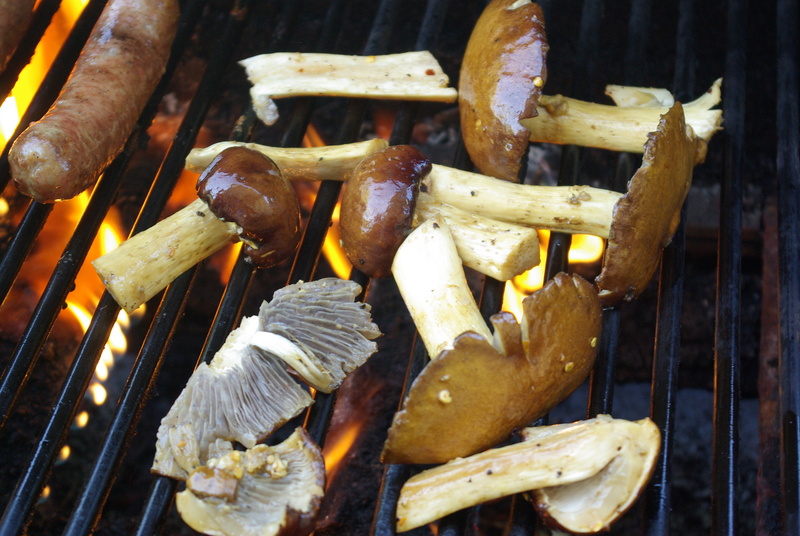 The ribbed ones are ‘costata romensco'(top) and the smooth are ‘cocozelle’. Your Nanking cherries look awesome! I had one that grew that much in a year, but most of them showed more modest (but still impressive) growth. 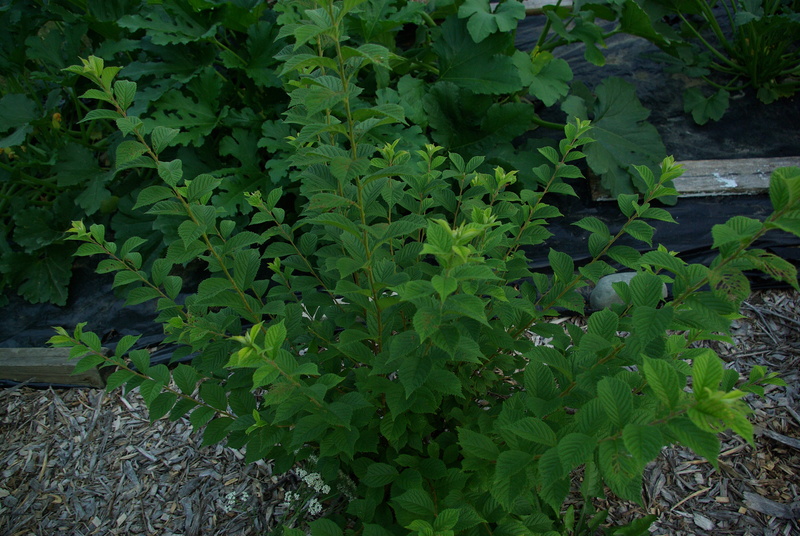 Now that I think of it, I had one particular Serviceberry that outgrew all of the others planted at the same time too. I’m hoping to get a crop out of my Nanking cherries next year, as it will be the third or fourth year of their lives, and that one prolific plant had a single cherry on it in its second year (got screwed by the weird weather this year). I’ll be curious to hear about that light-fruited variety too. Keep up the awesome work!